Over in Birmingham, the annual EGX Expo is currently underway giving UK fans the chance to try out Team Sonic Racing for the first time. 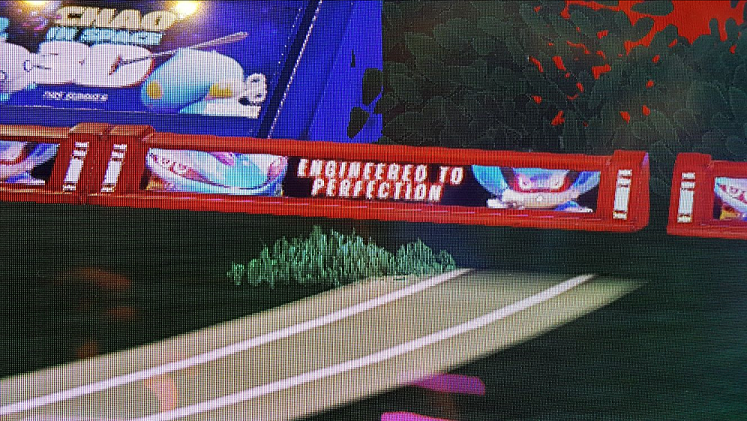 Well our very own writer Dave was there and during his time on the Planet Wisp course spotted a Metal Sonic billboard on the side of the track while playing the game! This all but confirms Metal Sonic will be a playable racer in Team Sonic Racing. Ironically, it’s rumored that this billboard may have been in the demo since E3, we’ve confirmed that these billboards were in the Gamescom demo and no one caught it. It’s also been reported that Dr. Eggman was spotted during the Tokyo Game Show stream. Does this mean that there’s an unannounced “Team Eggman”? Eh, probably, but we’ll have to wait and see for sure. Team Sonic Racing speeds it’s way to store shelves this winter. So they really are leaving Cream out, huh. Cream definitely need to be in the game as a dlc substitute character for chao. My only guess is Cream is far too young to drive a race car. Sure Tails can drive, but he’s an exception. Other than that, I would welcome Cream as a playable character. I’ve been saying to no one since the game was announced that Team Eggman would be a thing. My original guess was Eggman, Metal, and Infinite. Though it could just end up being a random Egg Pawn. I bet the last one is either an egg pawn infinite or zavok. Definitely have a feeling it’s zavok cause he’s the only well known power type while metal is speed and eggman is technique. Honestly it would be cool for a evil hedgehog team. The characters would go as Metal Sonic, Mephiles, and maybe Scourge? Or Silver Sonic or Neo Metal Sonic? Or maybe a mysterious evil brother of Silver? I just throwing out ideas, but it would be like the coolest thing though! never Scourge – archie characters are trash and dead, Sonic Team doesnt like them. Obviously Team Eggman will be Eggman, Metal Sonic, and Eggpawn. It will be Orbot & Cubot. They did the whole multiple characters in one racer with the chao.